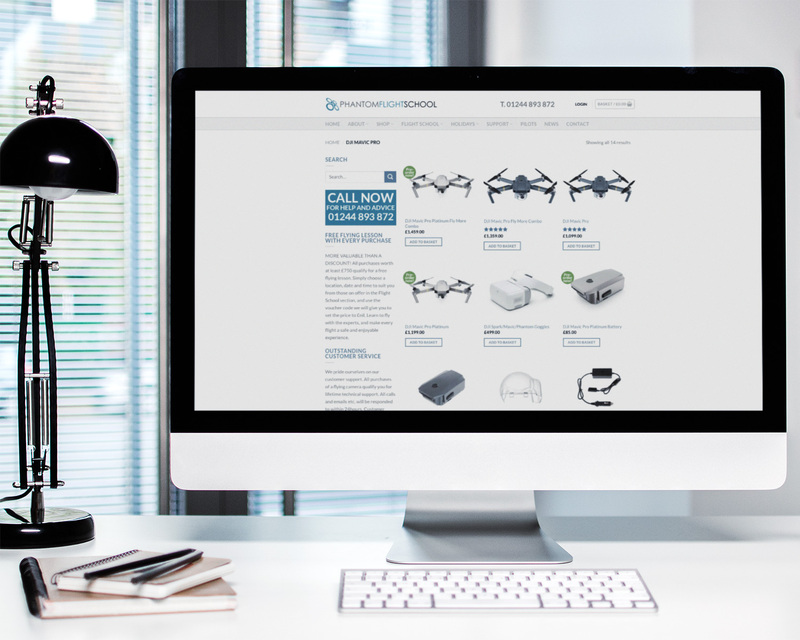 Alan Proto, founder of PhantomFlightSchool came to us with an idea for a business, and we have worked with him to turn what was originally going to be just an online drone retailer, into the leading drone training school in the country. We have developed every component of his marketing with him, from initial branding and logo design, to the website, social media pages and his print media. We developed a complex booking system which allows customers to book training at multiple locations, times and with multiple training pilots, and they all have access to their own schedule. We have worked with him on his Search Engine Optimisation, and also his Pay Per Click marketing strategy including Google Adwords, and retargeted ads. 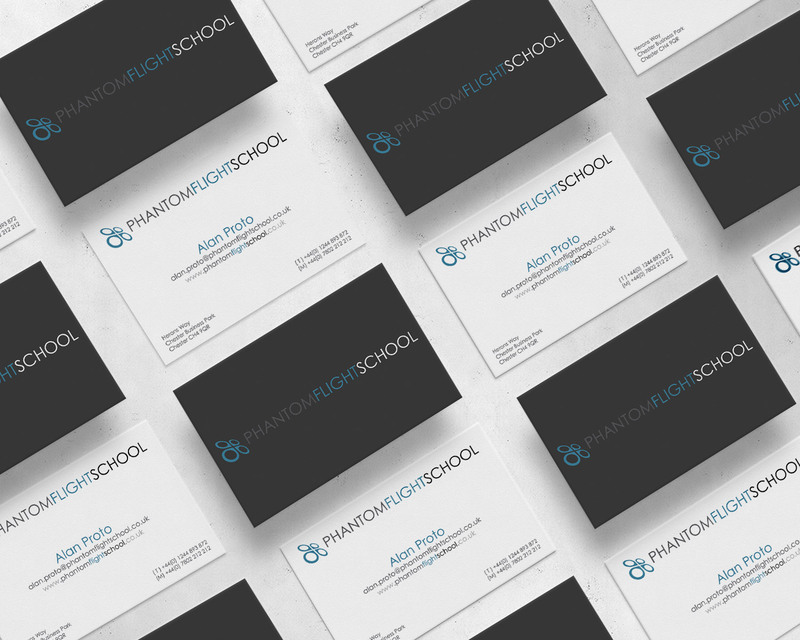 PhantomFlightSchool has developed into a multi faceted business offering retail, training, holidays and consultancy, and we continue to develop new areas of his website for him. Alan Proto, founder of Phantom Flight School came to us with an idea for a business, and we have worked with him to turn what was originally going to be just an online drone retailer, into the leading drone training school in the country. 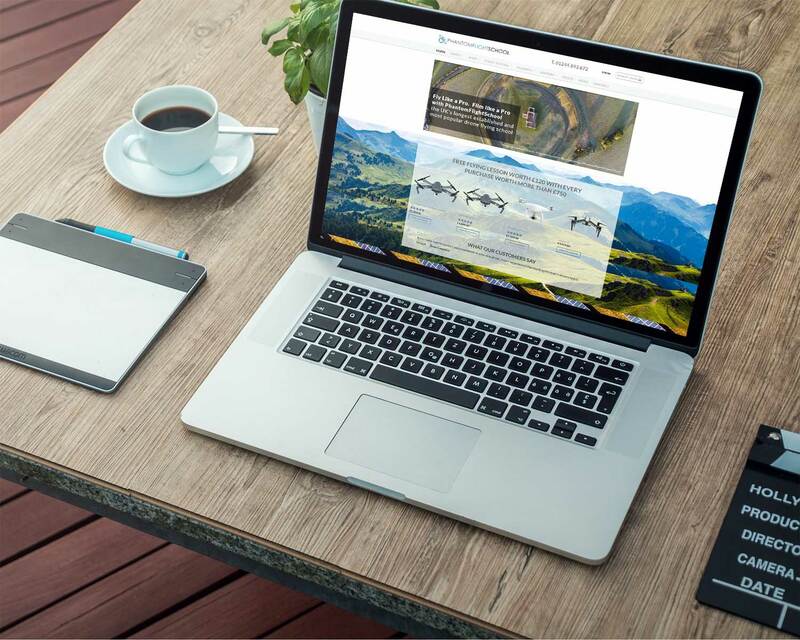 Phantom Flight School has developed into a multi faceted business offering retail, training, holidays and consultancy, and we continue to develop new areas of his website for him.